The Brownie Troop Fishing Show! For many years I ran a fishing website and an online fishing show called “The Brownie Troop Fishing Show.” The show contained some of my most memorable fishing experiences ever. For a long time my friend Nick was a big part of it. we are about to have our own fishing show on TV, but I’m saving that announcement for a special time. 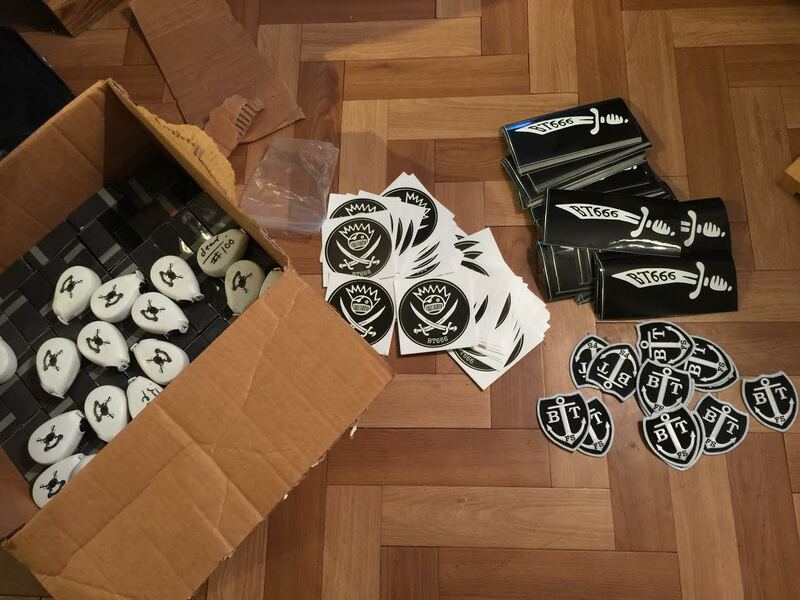 We also had merchandise available thru the site, stickers, shirts, banners, tape measures, etc. Here is a pic of the surplus I still have leftover. i am gonna sell it off soon. for now enjoy a great trip down memory lane…. Brownie Troop Surf Sharking Party 7/25!